Deluxe Lined Office | ContainerWest Manufacturing Ltd.
Our Deluxe Lined Office is designed for more extreme climates and for customers looking for a more traditional longer term workspace. 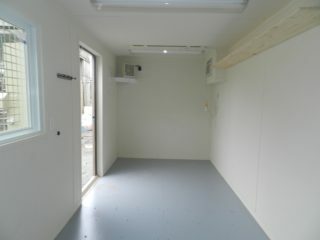 These fully insulated and temperature controlled units will maintain comfortable working conditions all year round. The Deluxe Lined Office also features a lined interior, superior lighting, exterior electrical outlet, and easy to clean flooring. Some models also feature an extra-large window for improved natural lighting, a data cable entry port to easily run cables into the office and a pre-installed book shelf and coat hooks. 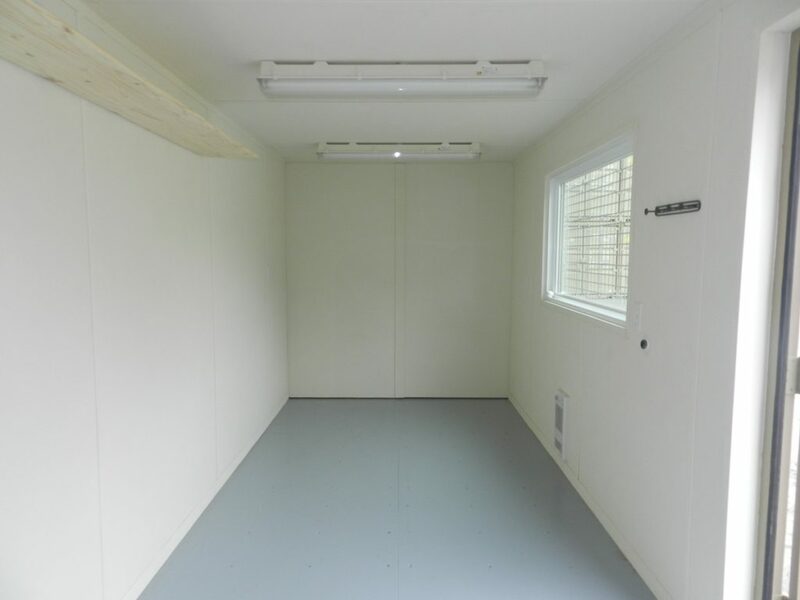 Our 20S.3006 model was specifically designed for use in Alberta, and has achieved Alberta Building Code Part 10 Certification for Relocatable Buildings.